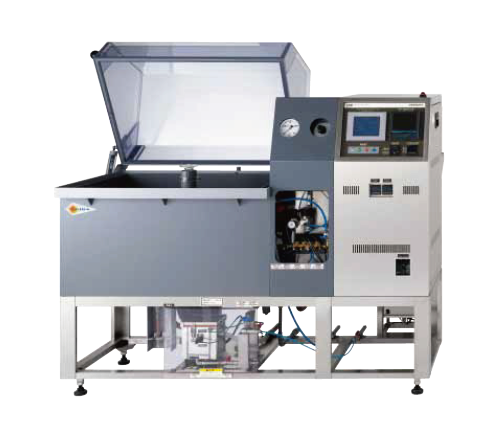 SUGA manufactures salt spray test instruments and cyclic corrosion chambers. Alphatech is a distributor and after-sale service provider for SUGA Test Instruments in the UK & Ireland. Products and materials all around us will ultimately deteriorate under their end-use environment and end their service life. Corrosion test instruments are used to determine the service life span of products by simulating and accelerating the natural corrosion process via incorporating various corrosion factors that exist in the natural environment. 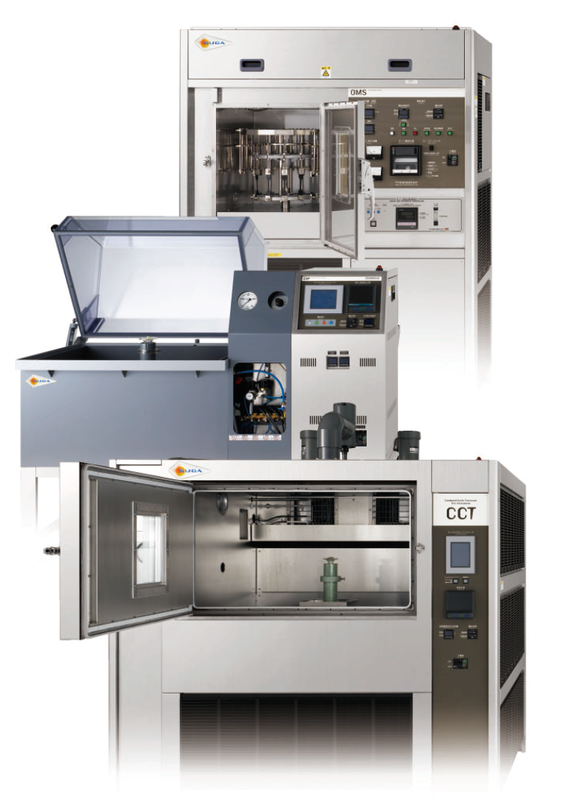 SUGA offers a wide range of corrosion test instruments that test the corrosion resistance of metallic materials and their finished surface, from the basic Salt Spray Test Instrument to more sophisticated Cyclic Corrosion Test Instruments. Our corrosion test, salt spray and cyclic corrosion test chambers, are constructed from non-corrosive materials, incorporate an advanced high pressure atomiser to ensure a uniform fine fog, all of our corrosion chambers incorporate our saturator tank with a built in automatic water level controller, designed to meet all relevant standards, it is constructed from a non-corrosive flexi-glass vessel, safety components are pre-installed ensuring continuous unattended operation. These are the most basic instruments for determining the corrosion resistance of metals and surface treatments. The solution is sprayed from the mist dispersion tower, a method recommended by ISO for its uniform distribution capability. An air barrier board is set inside the solution tank preventing the fluctuation of the solution’s pH level (PAT). These instruments are capable of testing large numbers of specimens with its super-sized test chamber. The increased floor load resistance option allows the instrument to test large-sized specimens and full-scale models and products. 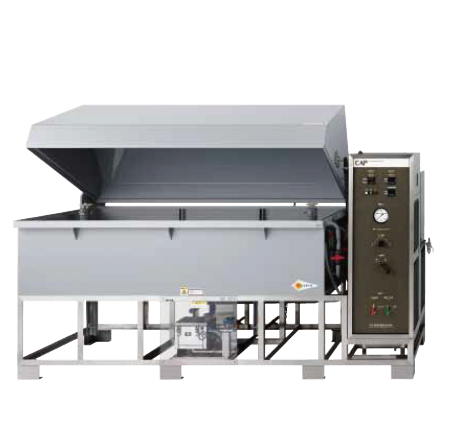 This is a test instrument for evaluating the humidity resistance of paint (ISO 6270) rust preventive oil (JIS K 2246) and metal surface treatments such as colorants and coatings. 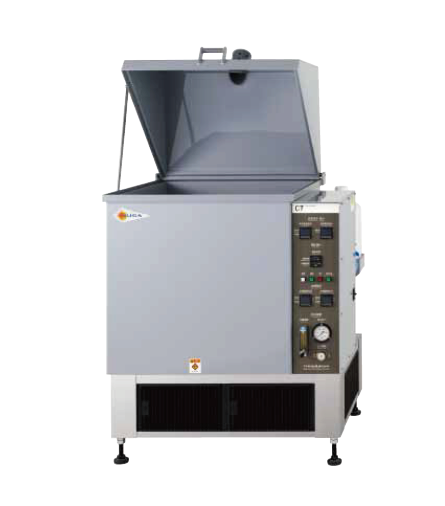 The chamber lid is designed so that the water particles adhered on the ceiling will not fall onto the specimens giving it outstanding test reproducibility. 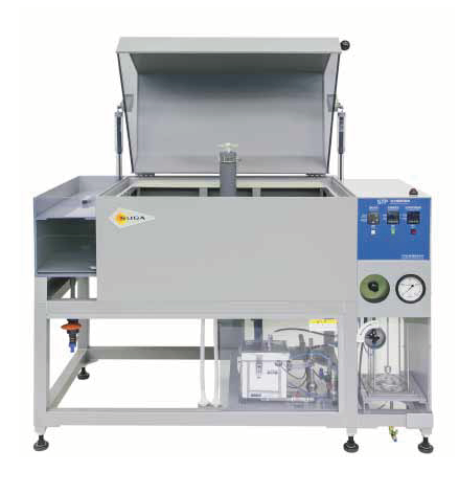 This is a compact combined cyclic test instrument capable of either single or combination of salt spray, dry, humidity and open air tests. It is widely used both in Japan and overseas as a standard cyclic test instrument capable of performing JIS, JASO and ISO cyclic tests.